Start-up Busker Label has enabled artists to raise funds and gain fans by selling early access to unreleased albums licensed under Creative Commons. The founders of Busker Label involved me to create their visual identity,with the main goal to attract as many musicians as possible to the platform and therefore being palatable to a diverse range of genres. The resulting logo represents the lively essential traits of emerging musicians, well suggested by the metaphor of the street artist, used for the crowdfunding process. I turned one of the letters of the logotype into the stylised figure of a juggling busker - the little character to be used as a standalone icon and as an easily recognisable sign on merchandise and marketing materials. 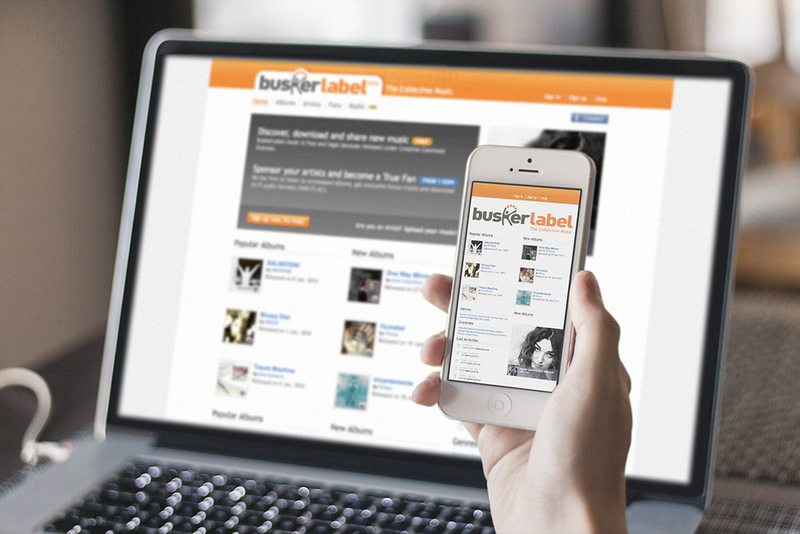 Along with all print collaterals used for trade shows and events, I also realised webpage mockups which led to build the graphic interface of Busker Label website.